Vista Grande 5 Acre Lake View Estate! 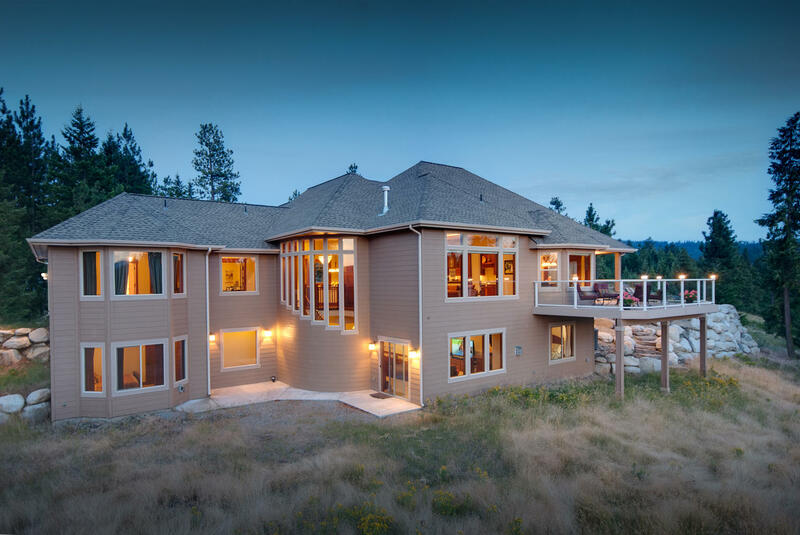 This 5.3 Acre Luxury Estate is nestled above peerless Lake Coeur d’Alene just off one of Idaho’s Scenic Byways, Highway 97 & only 8 miles to I90. Trace its path along a meandering shoreline, bedecked with emerald-forested mountains rising above a sublime expanse of ultramarine, North Idaho’s Crown Jewel. Here, the majestic eagles soar on zephyrs of transparent azure. Osprey, royal fishers of the skies, hold court from natural diadems perched above shimmering sapphire. A craftsman style 4500 sq ft Luxury home nests among towering mountain pines, featuring custom Brazilian Cherry woodwork & flooring, buffed to a soft glow. Granite gourmet kitchen sparkles with a full suite of stainless appliances. Clean elegant lines frame woodland, mountain & lake Coeur d’Alene vistas. Host a proper social gathering in the formal dining room adjacent to the Butler’s Pantry. Sip coffee with the morning paper in the Breakfast Nook. Soak in lake views from the open back deck. Great Room & Family Room Gas Fireplaces warm the heart as well as the hearth. Amenities include fly-tying room, main level master suite with tiled corner jetted tub, & wet bar in the spacious Rec Room area. A Covered Front Porch crowns the much-coveted “North Idaho” exterior, articulated in rustic Rock & Wood accents. A 3-Car Garage & RV parking help you explore this dominion of the divine at a moment’s notice. Boat slip in the gated community dock is also included. Inhabit Nature’s Grandeur. to schedule your private tour. ~ by The Oetken Group on February 2, 2012.